THE PLANET EXPORTS was founded January 1st, 1999. 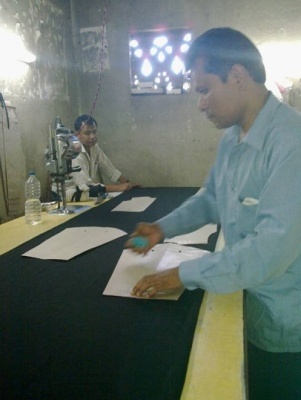 We are a manufacturer with more than 50 employees and our factory is located in the city of Katmandu, Nepal. Over the years we have produced handmade woolen hats, scarfs, sweaters, socks, slippers, gloves, clothing and various nepalese accessories and exported them to many countries around the world including the United States, Europe, Japan, Australia, Russia. We are registered in the nepalese Ministry of Industry, and we are also members of the Nepal Handicraft Association, Chamber of Commerce of Kathmandu as well as the Export Council of Nepal (ECON). Based on the handicraft knowledge of wool products gained in the past and to todays indispensable factors as continuity and innovation, in 2011 we started the project PinkYak ®. 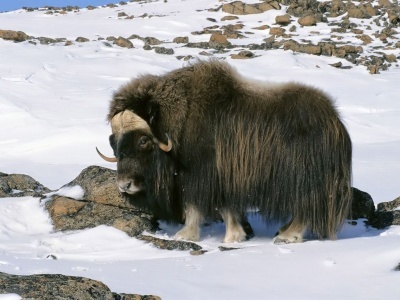 We aim to become a social manufacturer of clothing with animal forms, all very warm and funny. 1 – respect, improve and develop quality of life of our employees and their families. 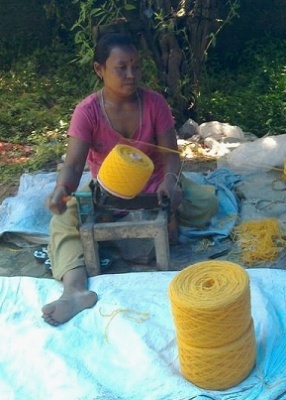 2 - raise awareness of the high content of craftsmanship as a source of pride of Nepal's identity. 3 - working for the recognition of an important organization for the certification in the Fairtrade circuit. 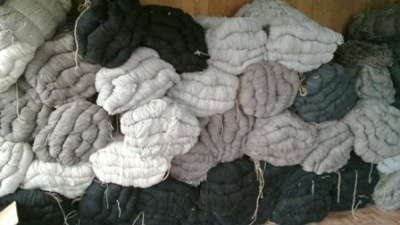 All PinkYak ® products are handmade 100% with genuine wool of Tibet and New Zealand. The interior of all garments are always in polar fleece which guarantees to hold warmth even against rigid temperatures. 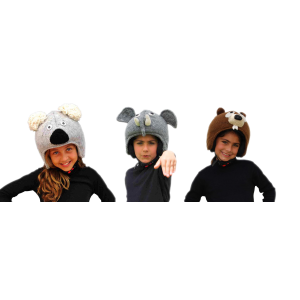 So you can warm up in a funny way by wearing an animal-hat, hat with scarf, jacket, gloves, slippers, covers for ski helmets, all beautifully crafted in the detail, always ensuring a high quality. We are grateful for your visit and we hope to have the chance to keep you warm.